2018 has seen cloud being adopted for mission critical applications and becoming mainstream. Analysts at Forrester predict that the public cloud market will grow by 22 percent in 2018, to $178 billion. These numbers show that many companies have moved well beyond the experimental stage. They view the cloud as a critical component of their IT strategy. They are now transitioning on-premises infrastructure and applications to the cloud. In addition, they are also adding cloud-based services as part of a hybrid approach. One technology that is making this easier is Kubernetes. Kubernetes allows layering and application scaling within containers in the cloud. It works in tandem with the infrastructure provided by the cloud to allow for a more portable, more productive, environment. At the same time, the services, tools and the organisational best practices for cloud continue evolving to support the needs of large-scale enterprises. With these trends in mind, here are a few thoughts on cloud becoming mainstream and the growing role of Kubernetes in delivering powerful improvements to your infrastructure. Easy and near-instantaneous provisioning of compute, storage, networking resources. A business model of pay as you go. All these benefits delivered by the cloud go towards driving agility in the business. The cloud helps improve the flexibility of employees and assists in future expansion. Forrester also reports that organisations see themselves using multiple clouds, moving applications and workloads between them. Containers ensure the portability of applications across platforms. They also separate functionality into smaller microservices. This enables more agile development, allowing development teams to move fast, deploy software efficiently, and operate at an unprecedented scale. It is the next step in enterprise hybrid cloud deployment. The fight for container orchestration dominance has been one of the cloud’s main events for the past two years. The three-way battle between Docker Swarm, Kubernetes and Mesos has been fierce. However, Kubernetes is now pulling ahead. This increased momentum is thanks to a rich set of contributors, rapid development of capabilities and support across many disparate platforms. Nevertheless, putting this into perspective, the overall number of companies using these technologies in earnest is still relatively low. A recent report from Cloud Foundry shows that only 25% are currently using containers. Another research report, from Portworx, found that 69% of companies are ‘making the investment in containers’. The key point here is that enterprise organisations are starting to take note and the market for Kubernetes is growing very rapidly. Kubernetes is an open source community-driven initiative, and this has been a large factor in its adoption to date. As an open-source service it has a lot of flexibility in how it is used. Kubernetes works with multiple software; whether the infrastructure is private or shared. It can also work with multiple providers, like Google or AWS. Kubernetes is especially useful with hybrid or multi-cloud deployments. These are emerging as the most frequently used cloud model for businesses in 2018. However, this can make containers very difficult to manage. Afterall, a single business will have multiple containers across multiple clouds and infrastructures. This is where Kubernetes is a benefit. It manages containers and automates the deployment process for them. Automation saves lots of money for businesses as it improves efficiency. This allows IT teams to focus on other areas of the business. This is especially true when good container management means that software deployment through Kubernetes is almost always painless. It could also potentially reduce hardware costs by making more effective use of current hardware. All of this combined pushes Kubernetes into more mainstream deployments with continued growth in large production workloads. Kubernetes is clearly becoming the de-facto standard thanks to more application workloads moving to containers. That said, Kubernetes does not provide application load balancing. It is the customer’s responsibility to build this service. In theory open source application load balancers and traditional application delivery controllers (ADC) will work in Kubernetes. Unfortunately, in practice they fail to handle the dynamic environment of containers. So, what are the requirements for load balancing on Kubernetes? Here at A10 Networks our Kubernetes solution includes the Lightning ADC solution. It offers enterprise-grade application load balancing with its Harmony Controller. It also provides application and service analytics as well as centralized management. It also includes the Ingress Controller for application load balancing in Kubernetes which provides tight integration with Kubernetes. This means that IT staff can focus on the application’s business value rather than being occupied with operations of application delivery. In the cloud world, everything is moving very rapidly, and many organisations are now adopting Kubernetes. 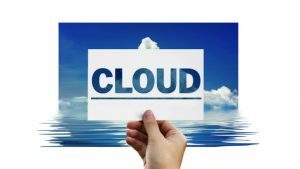 I personally believe that this adoption means that it will be mainstream in the next 12 months as organisations look to find innovative ways to consume cloud. Ronald is a passionate B2B technology leader and marketing professional with 20+ years of technology industry experience in multiple international marketing disciplines. Ronald’s main areas of B2B marketing and technology expertise are in Enterprise Mobility, Data Security and Compliance, Datacentre, Networks, Servers and Storage, End-user Computing, SaaS, Virtualisation, Enterprise Software, Mainframe and UNIX, Professional and Managed Services.